Spring Has Sprung! So Has Allergy Season. Happy Spring, y’all! The days are longer, there’s more sunshine, things are blooming, and the farmers’ markets are beginning to bustle. Let’s discuss all things spring. First off, the term spring cleaning has some merit to it. Springtime is liver cleansing season! According to Traditional Chinese Medicine, the liver meridians correspond to the wood element which is associated with spring, the season of renewal and rebirth. Not only is it a time to start new projects, get organized, clean house, and get rid of things you no longer need, it is a time for some body cleansing too. Remove toxins that have accumulated and start off the season with a clean slate. If you’re feeling sluggish, fatigued, or you’ve put on a few pounds over the winter months, a liver cleanse is the perfect way to lose weight and feel lighter and more energized. When the liver gets congested, all our body systems suffer. The liver metabolizes hormones, processes and synthesizes cholesterol, and breaks down histamines that increase during allergy season. Your liver does all this in addition to detoxifying and processing every single thing you eat, drink, swallow, absorb, and breathe. A congested liver cannot efficiently handle all these tasks, so if you are experiencing PMS, weight gain, headaches, fatigue, allergy symptoms, or insomnia, consider a two or three week liver cleanse. Click my workshops link above for more info. 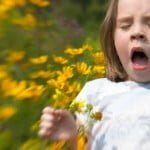 Let’s talk allergies. Before you pump yourself full of anti-histamines and countless other meds that have undesirable side effects this spring, consider this. You might be allergic to mold, pollen, dust, dander, whatever, but the reason you’re miserable is due to the level of histamines your body releases when you come in contact with said allergen. When you come in contact with the allergen, there is an inflammatory response, and histamines are released causing increased mucus production to help coat and get rid of the allergen. That’s why you have a runny nose, are stuffy, watery eyes, etc etc. -do a cleanse to decongest the liver, for starters. -cut the junk: sugar, coffee, booze. Replace with whole foods anti-inflammatory diet. Gluten & dairy free works best, really. Gluten (the protein in wheat) causes inflammation, and dairy promotes dampness in the body, making stuffiness, runny nose, etc worse. Focus on leafy greens and organic proteins. -take extra vitamin C. It helps with the histamine load. -drink lots of nettles tea. Very high in minerals and a known allergy reliever. -quercetin can help. Take it in a supplement for a therapeutic dose; find in onions & apples especially. -uncover your food allergies & avoid those foods to reduce inflammation and lighten your total load. -try a neti pot to cleanse the nasal passages. -use a green superfood supplement with chlorella & spirulina and other mineral-rich supergreens. -correct adrenal fatigue. We specialize in this in our practice! -increase essential fatty acids, mainly omega 3s, from cold water fish, flax oil, walnuts, leafy greens. -turmeric is a known blood cleanser. Add to curry dishes, drink a teaspoon in warmed almond milk, or take a supplement. So get out there in the sunshine and go to the farmers’ market! Get some asparagus, beets (good for the liver! ), and greens, and have a springtime anti-allergy party! The sun will boost vitamin D, which helps your immune system deal with your allergies.